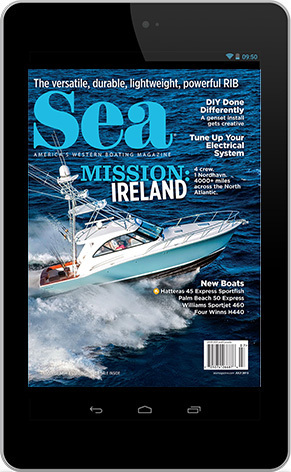 If there’s one thing that’s been driving the boat, so to speak, when it comes to making boat operation more appealing to a broader range of prospective boaters, it’s been technology. Now, technology itself isn’t just one thing. Not by a long shot. Boating technology can be touched, seen, felt, heard and smelled (or not smelled, in the case of new diesels vs. old ones). But it also works behind the scenes, not detected by any of our senses. Technology’s sum is definitely greater than its parts. 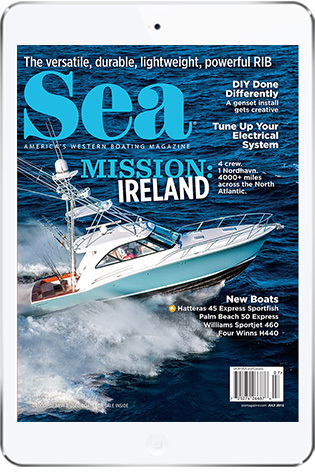 One of our features this month, Advancement for All, deals with one of the best known and tangible facets of new boating technology: joysticks. Our writer, Chris Caswell, looks at 10 reasons joysticks have made such a huge impact on boating in the decade since Volvo Penta introduced them to a wider recreational audience. And since joystick systems are no longer confined to pod-driven boats (or jetboats — Hinckley started using joysticks in the late 1990s), a wider range of boats and, therefore, boaters can enjoy their advantages. Turn to page 46 to find out more. But it’s not just driving that has gotten easier. Anyone who’s been on a new yacht recently has likely seen a couple of the things I’m alluding to. 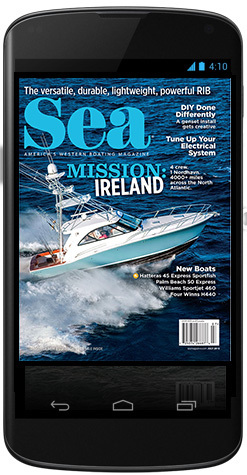 This month’s sea trials on pages 28 and 32 feature two yachts filled with such equipment. Multifunction displays, taking full advantage of NMEA2000 protocols, have become the do-it-all nerve centers for boat operators. Engines, cameras, stereo and entertainment systems, radars, depthfinders and more can all be integrated through an MFD. Information from every region of the boat, no matter how big it is, can be viewed at the helm, or elsewhere if an MFD is installed, for example, in the owner’s stateroom. Split-screen modes, all fully programmable, enable one unit to display engine info; the chartplotter; side, down or forward scanning images; and a movie. If there’s room for more than one MFD on the dash, well, you get the picture. Digital switching is another newish advancement that saves time and effort. Fully programmable systems mean a boat owner can show up and push one button to fire up the MFD(s), the lights, the cameras and whatever else he has programmed to start on Start. Add in the fact that many systems now have app compatibility, and ease and functionality are taken off the boat too. Hydraulic swim platforms, electric sunroofs and cockpit overhead extensions, remote driving stations, DSC VHF radios, AIS and more are other technologies that are making the boating experience easier and more appealing to current and future boaters. Separately, they are all worthy features on new boats. Taken together, as I’ve experienced them during recent sea trials, they represent the now and the future of boating.